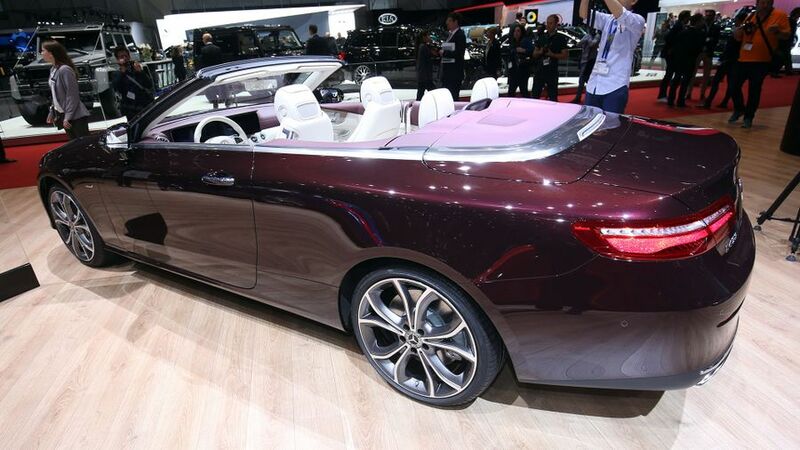 Mercedes has revealed the new E-Class Cabriolet in the flesh for the first time at the Geneva Show. It’s the final member of the E-Class family to arrive, but most closely resembles the coupe, with their profiles particularly similar. Also like the coupe, the cabriolet has a suspension that is set 15mm lower than the saloon’s, as befits their sportier nature. As we saw last week, when the first pictures emerged, the new open-top E-Class has a multi-layer fabric hood, which can be raised or lowered in 20 seconds at speeds of up to 31mph. 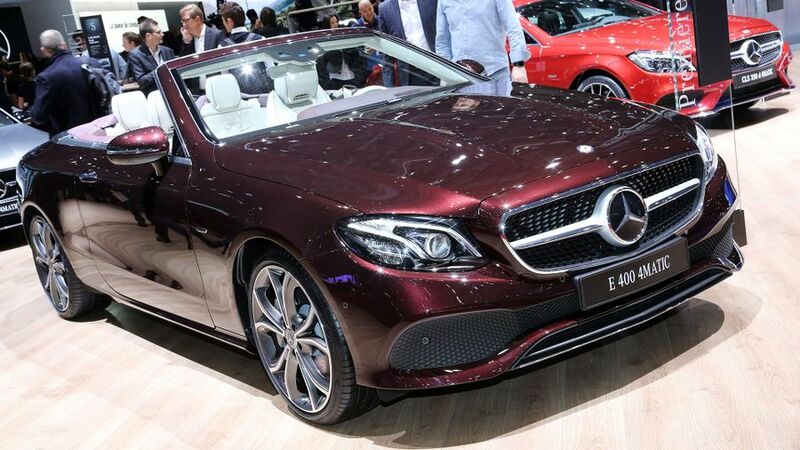 As you can see from the pictures, the cabin is pretty much identical to that of other E-Class models. There are four seats, and the front sports seats are available with neck-level heating. The rear seats also split and fold down, to allow a through-load facility from the boot. Mercedes says a full range of petrol and diesel engines will be available, and the car will also come with the option of air suspension and adaptive dampers. Unlike any previous open-top E-Class, though, this version will be available with four-wheel drive. As you would expect, the Cabriolet is also available with same range of safety, comfort and connectivity features as the rest of the current E-Class range. However, there’s no word yet on exactly when the E-Class cabriolet will go on sale or how much it will cost.